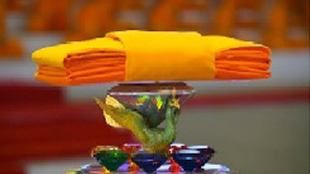 Katina Ceremony, an Annual presentation of new robes to the monks at the end of three months (July-October) Buddhist Lent, regarded as one of the meritorious events in Buddhist calendar. 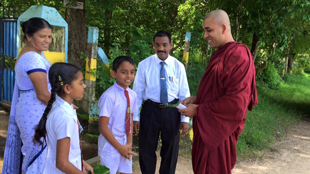 This year's Kathina Robe is sponsored by Dr. Priyantha Ranaweera and family. 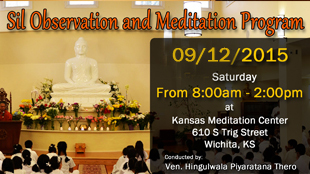 Kathina (Robe Offering) Ceremony will take place on Saturday, 10th November at Kansas Meditation Center. 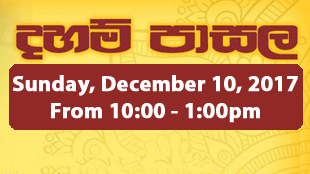 Overnight Pirith Chanting (සර්ව රාත්‍රීක පිරිත් සඥ්ඥායනය) starts at 5pm the evening before Kathina day Friday, 9th and continue until the following morning. 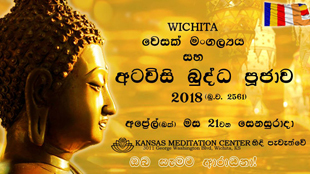 On behalf of all members and devotees of KMC, Dr. Priyantha Ranaweera and family (Manhattan,KS) would like to invite you all to be part of this year Kathina and Blessing ceremony. 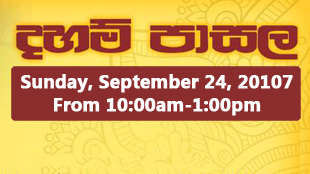 Please use the link below to sign up for Pirikara and Dhána for this meritorious event. 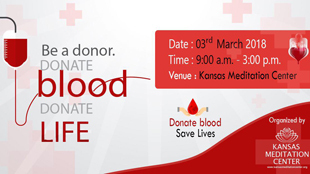 Please feel free to forward and share this message with your friends who may wish to participate. All are welcome! May you all be blessed by the Triple Gem with all happiness and prosperity!!!!! 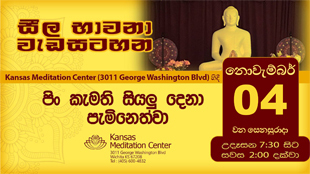 Vesak celebration (වෙසක් තෙමඟුල් සැමරුම) will take place on Saturday, 21st April at Kansas Mediation Center. 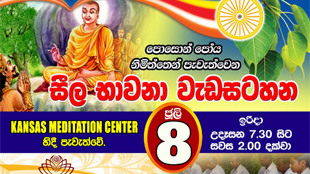 On this day, KMC is organizing "Atavisi Buddha Pῡja" (අටවිසි බුද්ධ වන්දනාව) to invoke blessings to devotees and everyone else. 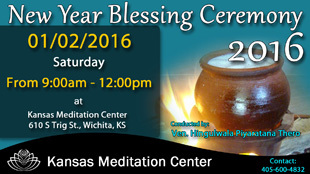 KMC would like to invite you to be part of this great, rare blessing ceremony. 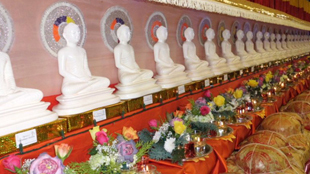 You may kindly register to reserve a Buddha Statue on our website using the link below. 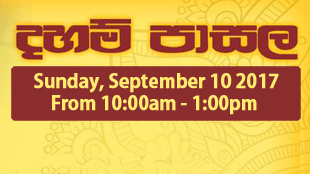 Each Pῡja has been valued at $100 to raise funds for the much-needed KMC operations. Please contact any of our committee members, If require any further information. thank you. May your heart be filled with giving and kindness! 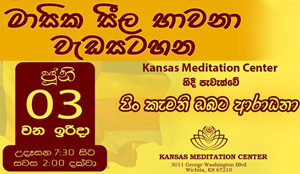 Gilan Pasa and Pirikara (Sivura Pirikara) will be provided. Each Puja has been valued at $100 to raise funds for the much-needed KMC operations. 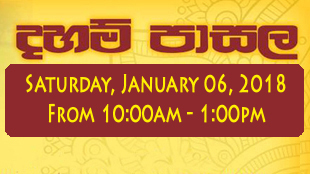 Please click the 'Reserve This Puja' Button below to reserve your Puja. Please fill your name and the phone number to reserve this puja. Let us know if you need any help with this. 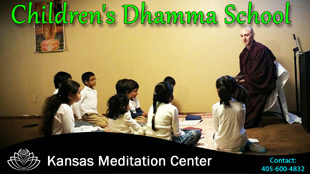 We appreciate your support to Kansas Meditation Center in this manner. This year's Kathina Robe is sponsored by Hewawitharana family. 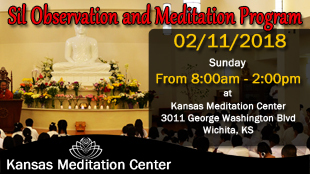 On behalf of the venerable monks, we, Kansas Meditation center Committee would like to invite you, your family and friends to join this special robe offering ceremony on the day to perform meritorious activities. 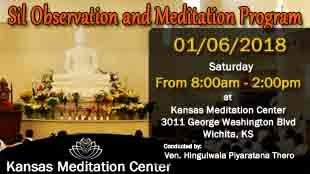 The venerable monks and committee members of the Kansas Meditation center wish to thank all members for their generous donations and supports to the Temple and their valuable works to the community in Wichita. 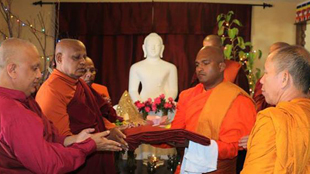 Please use the link below to sign up for the daana and the Pirikara for 12 monks attending the Katina Ceremony at the temple. 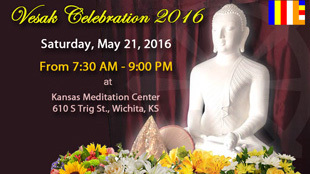 Kansas Meditation Center (KMC) is organizing the Vesak celebration in Wichita, Kansas for the fourth time (Sunday May 21st, 2017). 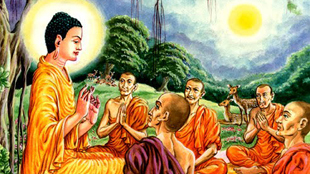 On this day there will be the performance of religious and meritorious acts such as, observance of Sil, Offerings to the Buddha, Offering to the Sangha, Meditation, Dhamma sermon and Dhamma discussion. 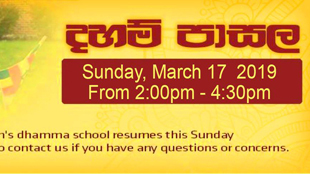 If you would like to prepare a dish for the daana for the Vesak sil program, please use the following link and sign up. 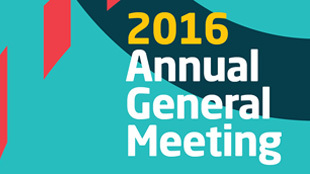 Note: If you are unable to attend for the morning events, you are more than welcome to attend for the lunch. This year's Kathina Robe is sponsored by Palliyaguru family. 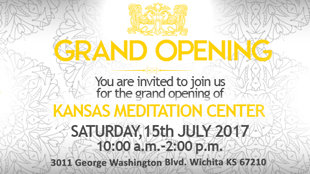 Funds raised in the course of the Kathina Ceremony will go towards purchasing a property for the Kansas Meditation Center in Wichita. 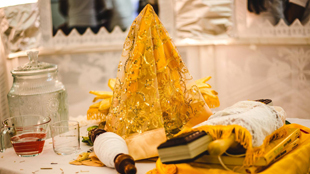 If you are interested in preparing a dish for the Dawal Dana for the Katina Ceremony, please use the link below and sign up. 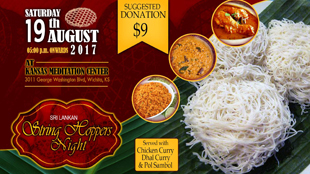 The Wichita Asian Festival is the biggest Asian cultural event in Wichita with an attendance of more than 10,000 people. 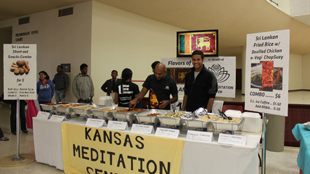 KMC organized a food booth at the Asian Festival as a fundraiser for the organization. 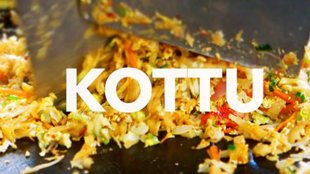 Traditional Sri Lankan food ranging from snacks such as rolls, cutlets and fish buns to rice with devilled chicken and chopsuey was prepared by members of KMC and sold at affordable prices to the participants of the Asian Festival. 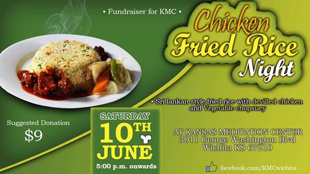 The KMC food booth had an amazing response from the public and sold out all the food items within a few hours. The booth was even featured in an article in the Wichita Eagle newspaper. 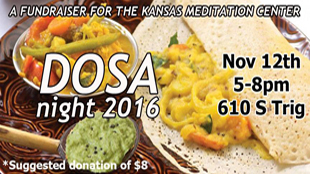 This was a great fundraising project that took Sri Lankan food to the masses of Wichita. 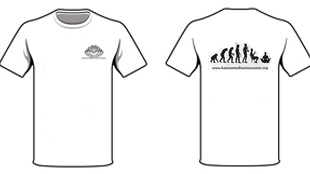 Our first fundraising event for this year was the sale of a KMC t-shirt. 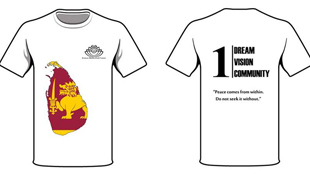 A t-shirt designed by members of the Executive Committee was pre-ordered by members of KMC on our website then printed and sold at the Cricket Tournament. This was a very successful fundraiser as all the initial batch of t-shirts were sold out that day. 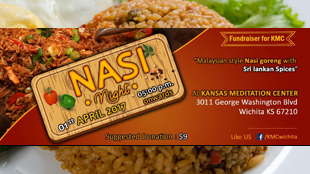 Funds raised from this event will go towards the organizing of future KMC events. Another proud community service project organized by KMC this year was the Champions Trophy Cricket Tournament. 6 teams battled it out on the field to become the Champions for this year. A special exhibition women's game was also played. Plaques were awarded to the best sportsmen in each category; batting, bowling, fielding and overall. 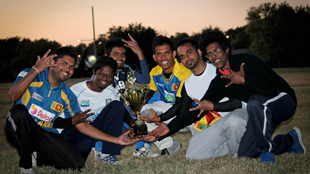 The Champions trophy for 2013 went to the victorious "Sri Lanka A" team. Refreshments and food were provided again to all players and spectators free of charge. 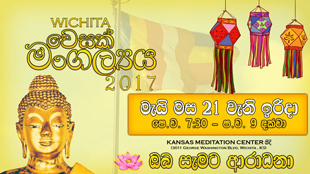 A Vesak Festival was organized by the KMC to celebrate Lord Buddha's birth, enlightenment and death. 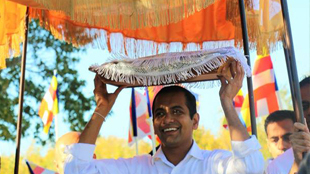 As part of this festival, a Vesak lantern competition and traditional Sri Lankan Dansal (giving free food to all those who come to see the lantern) was held. Participants were provided with bamboo and colored paper to build their lanterns. 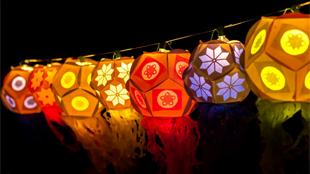 A variety of colorful and exotic designs could be seen, including stars, lotus flowers, 8-sided lanterns and even a motorized spinning lantern with a more than a dozen smaller lanterns circling a large parent lantern. 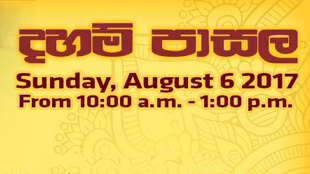 Ice coffee, bread and Sri Lankan side dishes were provided to all spectators free of charge. As the lanterns lit up the night sky, many passers-by stopped to admire them and learn about what was going on. 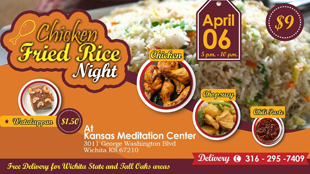 It was a very successful event to not only celebrate a religious occasion but to also inform our fellow Wichitans about our religion and culture.